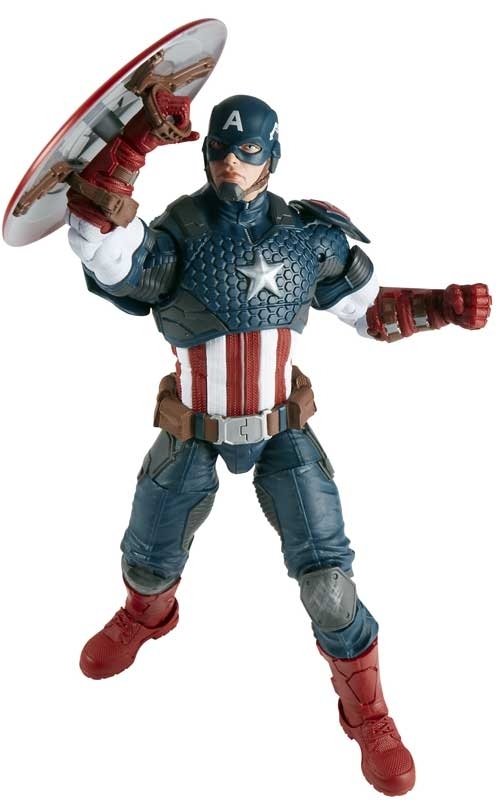 MARVEL LEGENDS SERIES 12-INCH CAPTAIN AMERICA - Captain America joins the Marvel Legends Series at a mega-sized 12-inch scale! 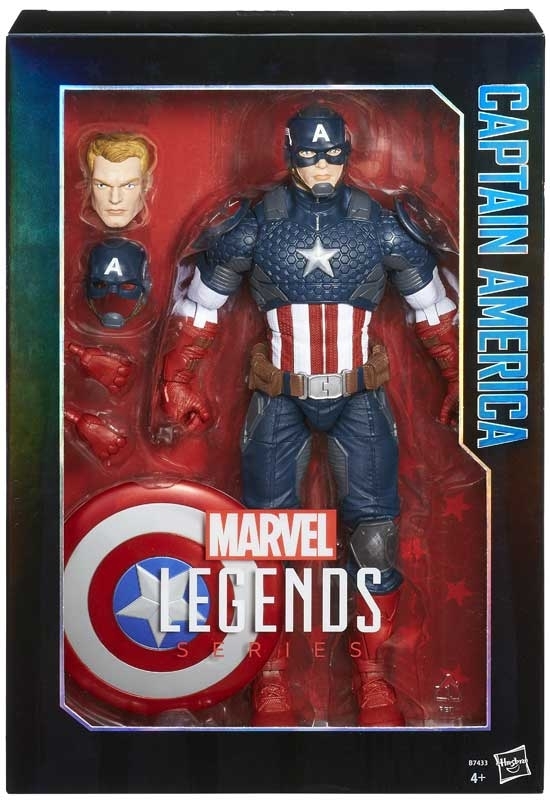 This action-ready Captain America figure features 25 points of articulation and signature Legends Series highly detailed character design and premium packaging. 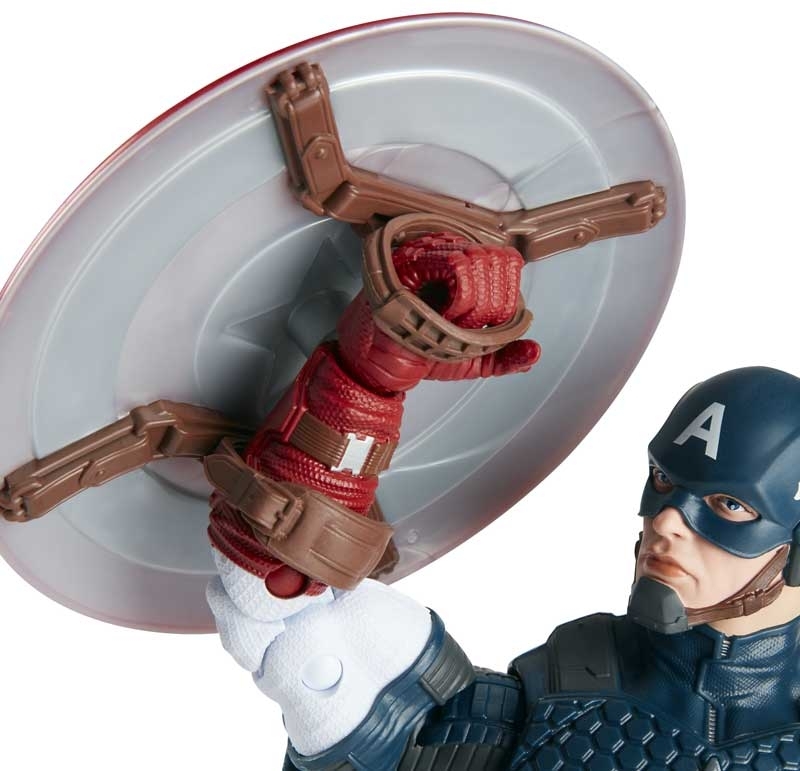 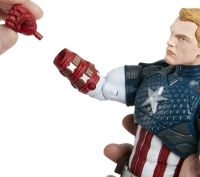 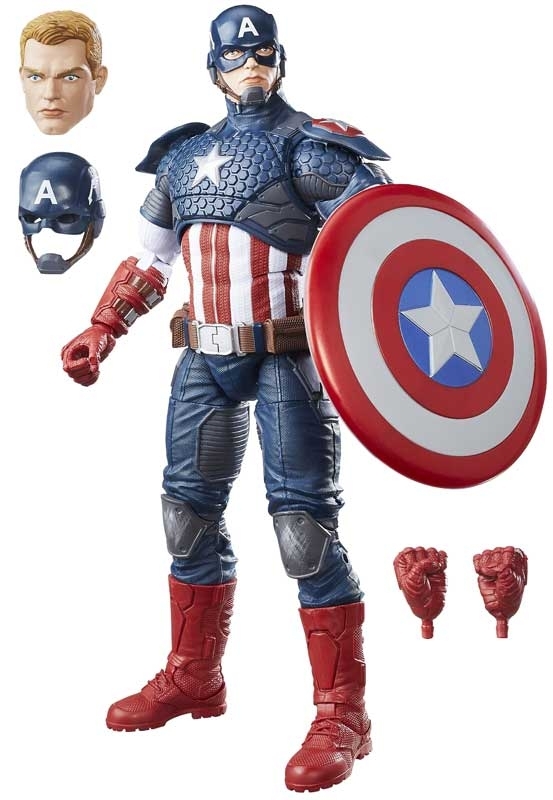 The figure also comes with character-themed accessories including an alternate Steve Rogers head and two different sets of hands. 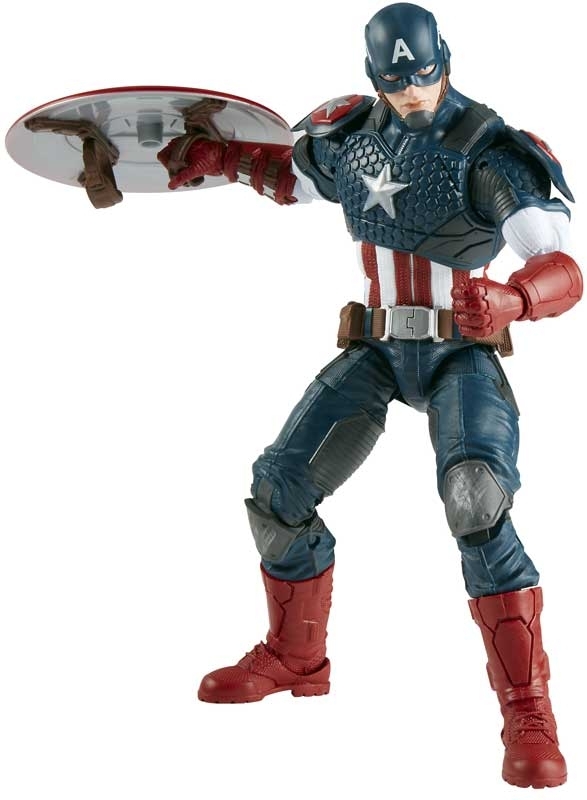 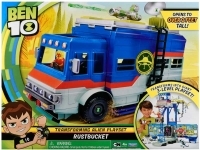 Kids and collectors alike can imagine Steve Rogers suiting up as Captain America and joining the front line of the battle right out of the pack.